Recently I've rediscovered my tube of Fresh's Sugar Lip Treatment in Rosé, and I thought I'd share my thoughts on it with you! I always thought that the Fresh lip balms were insanely over priced. I mean, $26 for a lip balm!? I still think the price is crazy, but now that I've tried the product, I can begin to understand the price. The Sugar Lip Treatments glide on smoothly, and I find that they really do hydrate my lips. These do have a citrusy scent, which I was not at all expecting! The scent is alright, but I'm not personally a huge fan of it. It's not bad, but to me it smells fairly artificial. 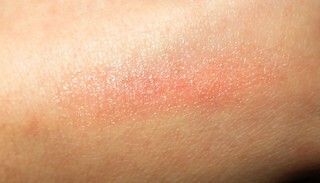 In the bullet, the balm looks very pigmented, but in reality it swatches fairly sheer (which it's supposed to!). My lips are already fairly pigmented, so I can't notice that much colour on my lips. I do however love how this balm feels on my lips! My lips feel hydrated, nourished, and they stay that way for about 4 hours. Now, I do feel that the Fresh Lip Treatments are a splurge item. I would only justify buying these with a gift card or as a special treat to myself. I think you can find a lot of cheaper lip balms at the drug store, like Maybelline's Baby Lips, Nivea's balms, and plain old Chapstick! If you have money to spend on a luxury lip balm, the formula of these is amazing. There are quite a few different shades, but I've only tried the original and Rosé. Have you tried Fresh's Sugar Lip Treatments? What are your thoughts on them? I got the original and Rose in minis for the Sephora birthday gift last year. I really enjoy the rose and my lips feel very soft and smooth after! I don't think I would purchase a full sized since they are so expensive, but you never know! I want to try Passion. They do smell a little artificial like. 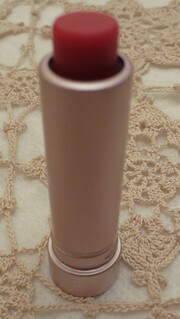 Passion looks like a great shade, I really want to try Coral and Berry! If only they had a mini set with all of them for an affordable price! They had a mini set at Christmas time, but it still was fairly pricey! I have tried these, and i'm not the biggest fan, unfortunately! I felt like it just sat on my lips and didn't really help me. However, I do love the color of the Rose one, it's gorgeous! Oh that's too bad! I feel like they're good at hydrating, but not noticeably better than any drugstore formula! I know what you mean, the packaging is very luxurious so you feel like it's worth the price! I really wanted the mini set too, but I wasn't ready to fork over that much money for it! Hmm, interesting! This might be a good splurge for me. I mean, I can't wear most lip balms/glosses cause I find they dry my lips out even more. I stick to vaseline cause that's all I can use. Have you tried Nuxe's Reve de Miel lip balm? I really like that one too! I received a deluxe sample of the Freah lip balms in Rose along with the original with my Sephora points about a year ago and I loved them, especially this one! They are insanely over priced and I probably would have never tried them had I not got them for "free". But I do love them! I received that birthday gift as well! I agree, I think these make a great gift, but they are quite expensive, especially considering how quickly I fly through lip balms! I love these, they're amazing!